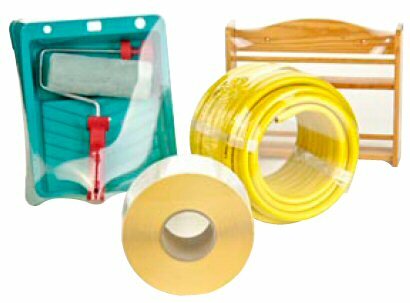 Bolphane ® BRX is a multilayer, cross-linked, polyolefin soft shrink film. It is soft enough to wrap products that easily distort, but tough enough to package irregularly shaped items. Low temperature properties protect heat-sensitive products. 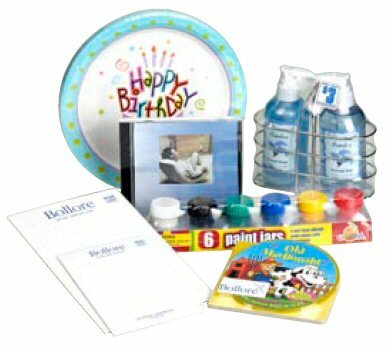 Applications include printed and converted paper products, items packed in lightweight trays and boxes, and softer products. The high free shrink in BRX allows packaging of irregularly-shaped items, and produces the highest quality package aesthetics for shelf appeal. The unique thermal properties of Bolphane ® BRX allow for sealing and shrinking at lower temperatures than competitive shrink films. Bollore's exclusive cross-linking process increases the film's strength and toughness, while also providing strong and secure seals. That means wrapping packages in Bolphane ® BRX results in greater impact resistance and product protection during shipping and retail. 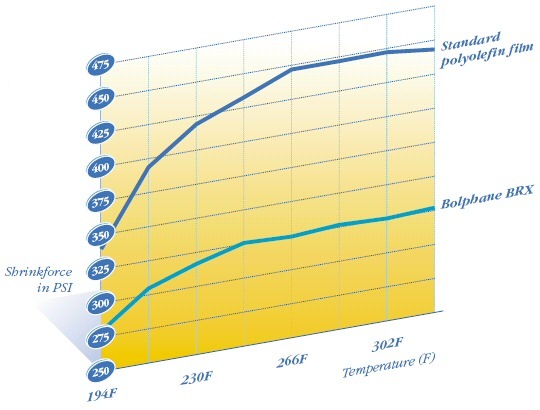 SHRINK PROFILE Compared to standard shrink films, Bolphane ® BRX consistently maintains its low shrink force within a wide range of temperatures.